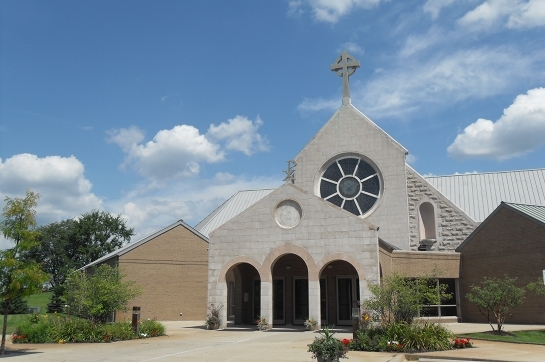 Christ the King Parish is now publishing a monthly newsletter, The Open Door. Upper Room will have an article in each issue, to encourage growth in our charismatic life. Those articles will be posted here on our blog as well. This first article invites everyone to come encounter the Holy Spirit at Upper Room. make the Holy Spirit known and loved. 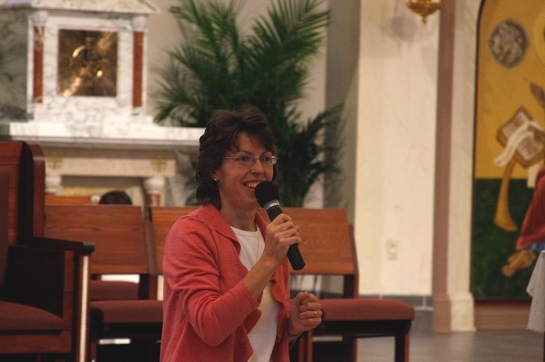 At CTK, we strive to be a parish that loves people well. Love is our primary call as Christians. After all, it is what we were created for. We were created in the image and likeness of our God who is Love (Gen 1:26, 1 Jn 4:8). We are called to love others, not only at Sunday Mass, but in our everyday lives. When the messiness and frustrations of daily life invade, loving those around us can feel like a tall order. We realize we can’t do it on our own. And upon reflection, we may realize that, while we love many people well at other times, we still do it imperfectly. For this reason, God gives us the gift of the Holy Spirit. The Holy Spirit is the love of God poured into our hearts (Rom 5:5). The Holy Spirit empowers us to bring his love to the world. 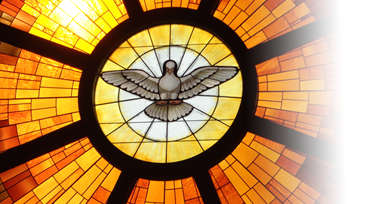 The Holy Spirit was first given to the Church at Pentecost (Acts 2). Mary, the mother of Jesus, and Jesus’ apostles were gathered to pray together with over 100 others in the Upper Room. The Holy Spirit came upon them in such a powerful way that their fears disappeared, they were filled with love and joy, and they boldly proclaimed Jesus’ saving love in many languages (even in some they didn’t know!). Over 3,000 people heard them that day and gave their lives to Jesus. As the apostles then began spreading the Good News all over the world, many miraculous signs and wonders demonstrated the power of the Holy Spirit. We, too, are called to this “missionary mandate” of bringing Jesus’ saving love to the world. The same Holy Spirit who empowered the apostles now empowers us! 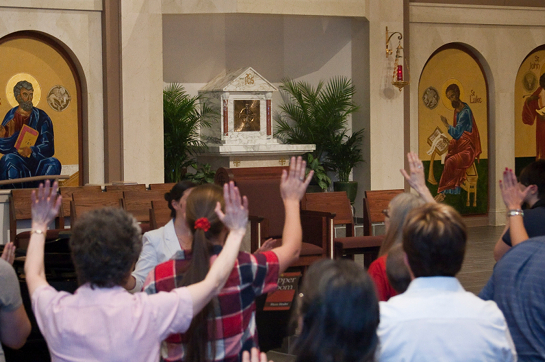 In a special way, we at CTK are blessed with miraculous charismatic gifts that demonstrate the reality of the Holy Spirit, just as miracles went with the apostles’ proclamation of the Good News. To grow in the love of the Holy Spirit and learn how to use his gifts, CTK invites you to our own Upper Room each Friday evening. There is Mass at 5:30pm. Then bring your dinner and enjoy fellowship in the Mengeling Room from approx. 6:30-7:30pm. 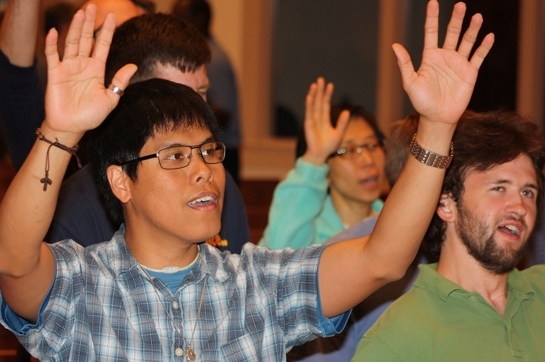 At 7:45-9:15pm, we gather for Praise & Worship in the main Worship Space. Schedule notes and numerous resources are at CTKUpperRoom.com. Come receive the Holy Spirit!